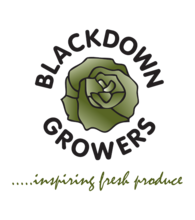 The operations here at Blackdown Growers are key to our success, from the field to your fork our products are looked after with great care! Every process of the growing cycle is well managed by expert operators be it the drilling of the seed through to the packaging handlers who apply the finishing touch. Our Farm managers ensure that only the best is applied to the outdoor operations, we have teams set up on ground work, seed drilling & harvesting. 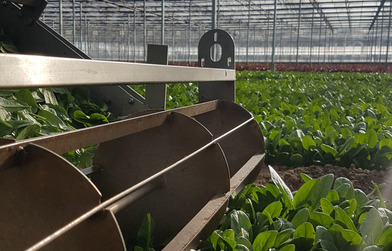 Automated Irrigation systems are installed not only in the Glasshouses but also on our outdoor growing areas allowing us to apply water pumped from our borehole to the crop whenever and wherever we want. 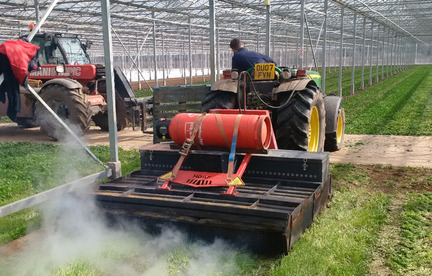 All our plastic crates used on site are put through our high tech power jet washing system. 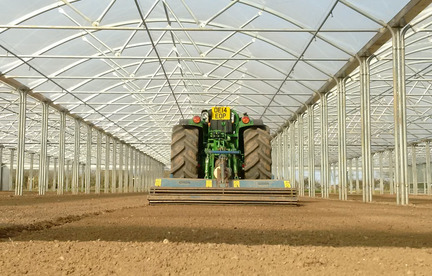 With a creative mind and an eye for design lots of our staff have brought forward great ideas and many bespoke machines & equipment indoor and out have been built creating hassle free, cost and time saving operations. 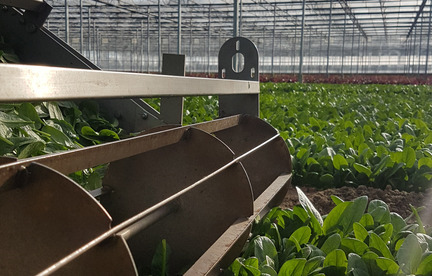 We have a fleet of refrigerated trailers out on the field & road so our crops are always kept in the coolest environment once they are harvested. Our packing facility here in Warwickshire has over 4 purpose built fridge coolers and various automated packing lines most noticeably the Multi head wheigher & bagging machine which can produce up to 40 packs per minute. Once crops have been harvested they are destroyed by a very intense burning process. Not only does this kill the plant, it also helps suppress weed and other pathogens that live in the soil. 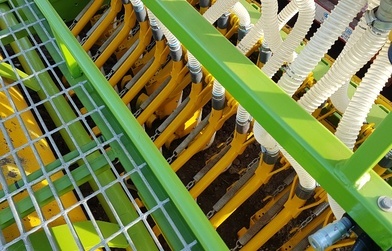 This burning application has the advantage of a soil sterilization action that creates a fresh start for the next crop. 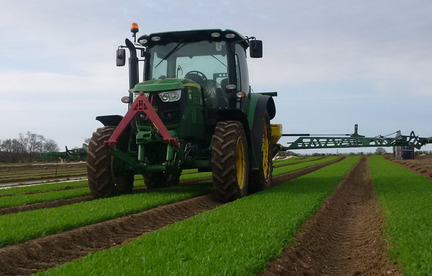 Boom mounted sprayers on tractors with GPS technology apply the correct rates for crops to receive the required treatment they need. 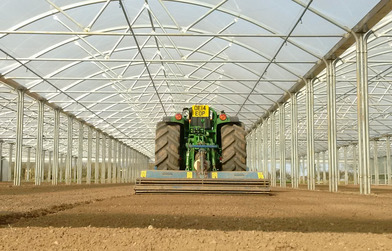 Different harvesting techniques are used for the correct process to enable the best leaf size and quality. It can either be a band saw action or a fast moving reciprocal knife, both of which have been used for many, many years. Once the product is harvested it’s transported to our fridge coolers where it’s stored until packing. 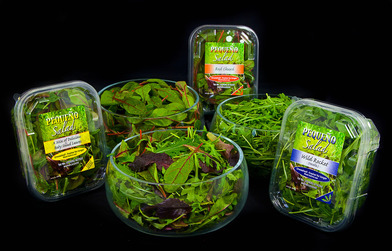 Products are then brought into the packhouse and packed to order according to its weight using 1 of our 4 high quality packing lines, labelled and then transferred onto a pallet ready for despatch. 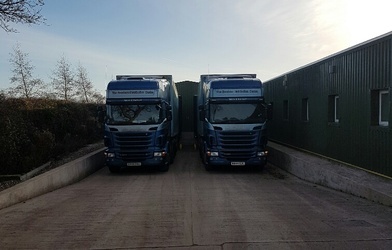 It’s critical that product is kept at a cool temperature so using our temperature controlled lorry’s enables our produce to remain in the very best condition and delivered to the customer within a few hours of packing.